Following graduation from high school, Justin approached Randy Picton for a job at Nk’Mip cellars. He was awarded the glamorous task of cleaning equipment and hoses and became drawn to the idea of capturing a culture in a bottle of fine wine. He took on night classes at Okanagan University College, earning his certificates in the Winery Assistant and Viticulture programs. To learn the intricacies of a large winery and the many roles and responsibilities that go into the wine-making process, Justin travelled to West Australia to work the crush at Goundrey winery. 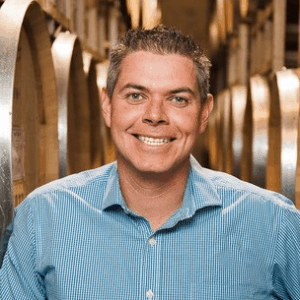 Justin returned to Nk’Mip Cellars after earning a post-graduate diploma in Enology and Viticulture from New Zealand’s Lincoln University, and assumed responsibility as Assistant Winemaker. In May 2017, Justin was promoted to the role of Winemaker. A proud member of the Osoyoos Indian band, Justin works with Randy Picton to craft the award-winning wines of Nk’Mip Cellars. “This is the job I was born to do,” says Justin who hopes someday to study cool-climate viticulture and oenology in New Zealand, and further his ambition to become a chief winemaker.